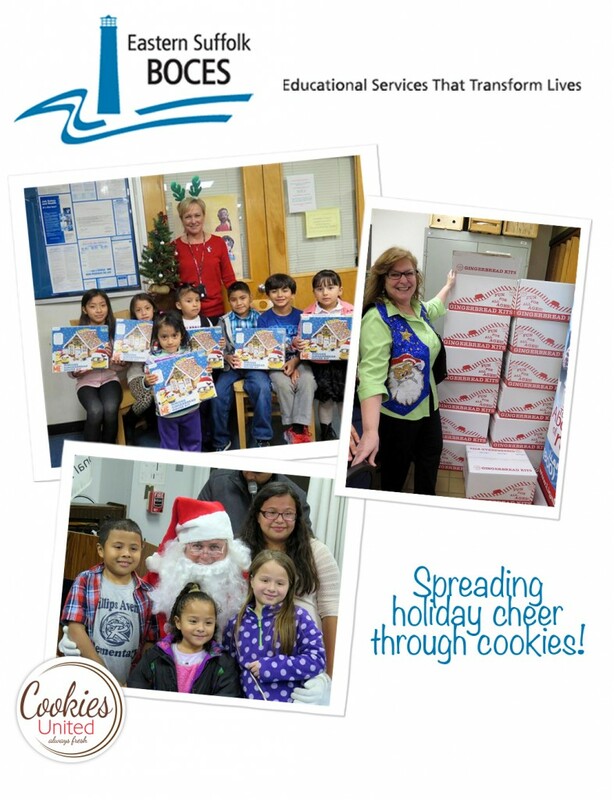 Cookies United was excited to bring smiles to the children, family and staff at the H.B. Ward Technical Center in Riverhead this holiday season! Cookies United donated one of their most popular and fan favorite gingerbread house kits, Minions! The families were overwhelmed by the generosity of those community members from across Long Island who donated gifts to their children. This entry was posted in Cookies United Blog, Press Releases and tagged donation, Eastern Suffolk Boces, gingerbread kits.